This is a classic western style movie, only set in Australia rather then the wild west. It is a story of perseverance, and will. The hubby and I love watching westerns, him more then me, but when I do sit down to really watching any western, I end up staying for the entire movie. This was no different. The story line of the movie was very thorough and straight to the point. Tom Burlinson who is the star of the movie (Jim) and Sigrid Thornton his leading lady (Jessica) have a great chemistry. Accompanied by one of the all time great actors Kirk Douglas who plays two parts Jessica’s father and estranged uncle rounds out the cast quite well. Definitely a movie that belongs in any classic collection of westerns. Disclosure: All opinions are my own. 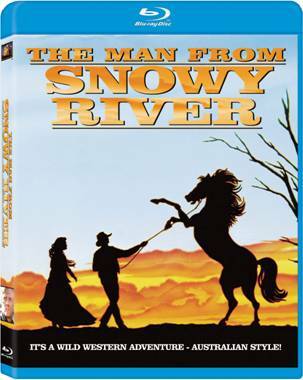 I received The Man From Snowy River at no cost for the purpose of this review. No other compensation was received.